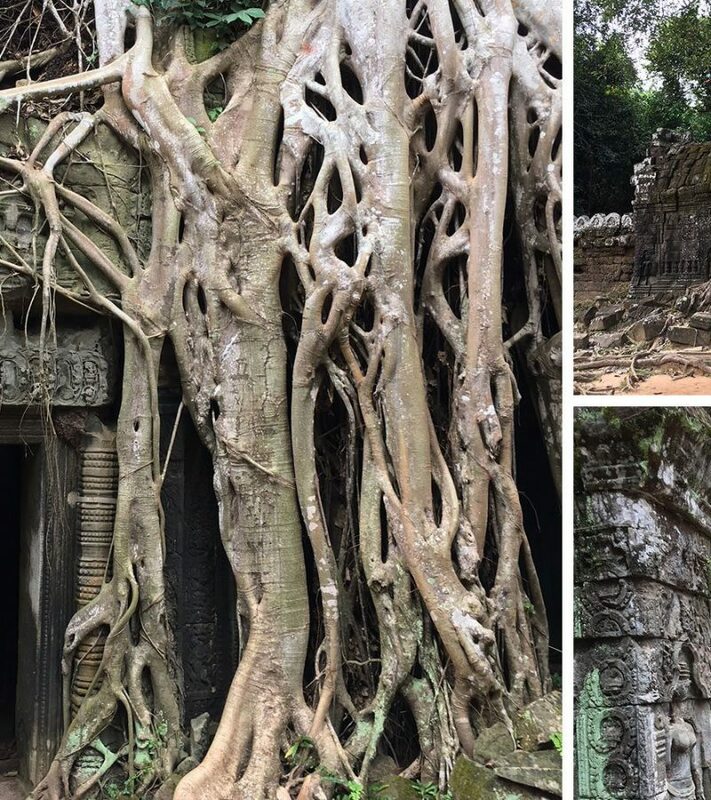 A trip to Cambodia late last year reminded me that when architecture competes with nature – nature invariably wins. I visited the magnificent Angkor Wat temple complex that had been on my bucket list for 25 years after seeing an exhibition at the Australian National Gallery. The sprawling temples built at the end of the 12th century comprise the largest religious monument in the world. The structure is made up of between 5 and 10 million huge stone blocks each weighing up to 1400 kilograms and laid with barely visible joints. The flat surface of the walls formed a blank canvas for artisans to carve animated bas-relief friezes depicting scenes from Hindu epics. The temple was substantially abandoned by the late 17th century, and nature reclaimed the territory. 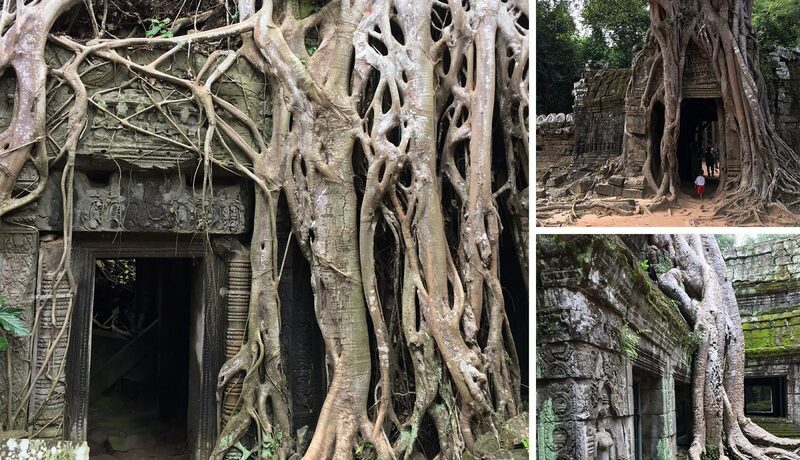 Trees grew vigorously in the tropical climate engulfing the structures leaving a graphic reminder that if there is a battle between nature and the endeavours of man, nature will overcome. As architects, we are wise to keep this in mind and work with the natural environment – not against it. 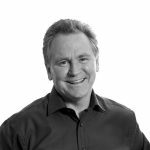 For Edmiston Jones, respecting the site and responding to the natural conditions is fundamental to our design approach. We endorse a sustainable design strategy that reconnects people with the natural environment. Biophilic design incorporates natural lighting and ventilation, natural landscape features and other elements into buildings to create a more productive and healthy environment for the occupants. The Nowra Superclinic is of one of our buildings that exemplifies these principles. The outlook from the building across the Shoalhaven River is one of the most delightful views in Nowra. A previous blog noted how the cliff top theme is reinforced by the articulation of windows setback from a seemingly arbitrary facade. Occupants of the building have the feeling of peering out from a cave encouraging a sense of enclosure and security. The design used natural curved forms to create a softer and less clinical aesthetic with timber to add visual warmth. 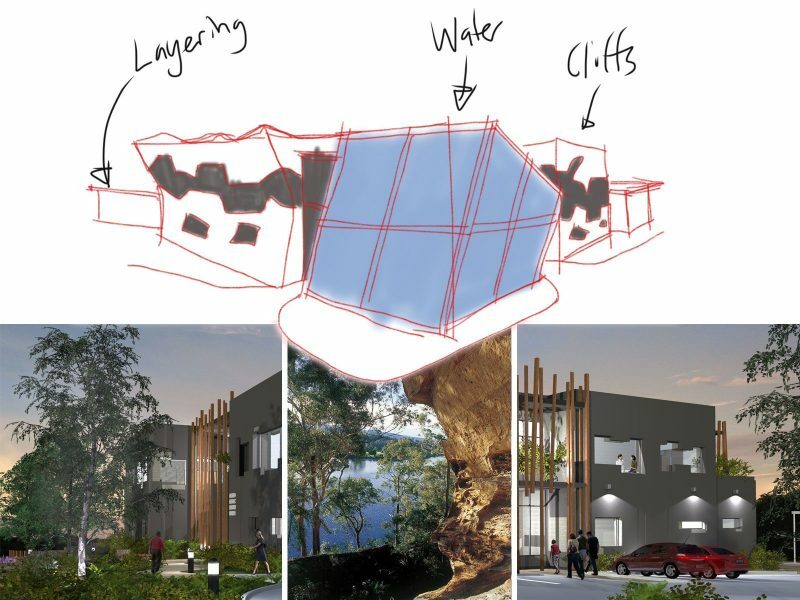 Early conceptual drawing and final images of the Nowra Superclinic inspired by the crags and trees of the nearby Shoalhaven River.